READ ALOUD | Shari Bender, R. Psych. 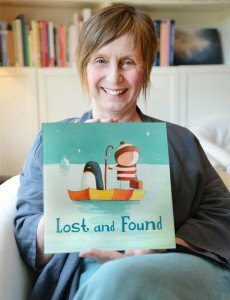 I would like to share with you some of my favourite children’s stories … stories that speak with clarity and simplicity to all of us; grown ups and kids alike… stories that speak to the essential themes that move and shape us. Here the story pulls us into the tidal rhythm of friendship … the finding … the losing … and the finding again. The story reminds us of the deep, simple pleasures that friendship can bring. If you are interested in this story, you can purchase it at Kids Books.